As the European Medicines Agency (EMA) and the European Banking Authority (EBA) move from London to Amsterdam and Paris, and Labour vote to leave the Customs Union – as the full scale of the Brexit calamity unfolds, new alliances and connections are to be made. Scotland is looking north. 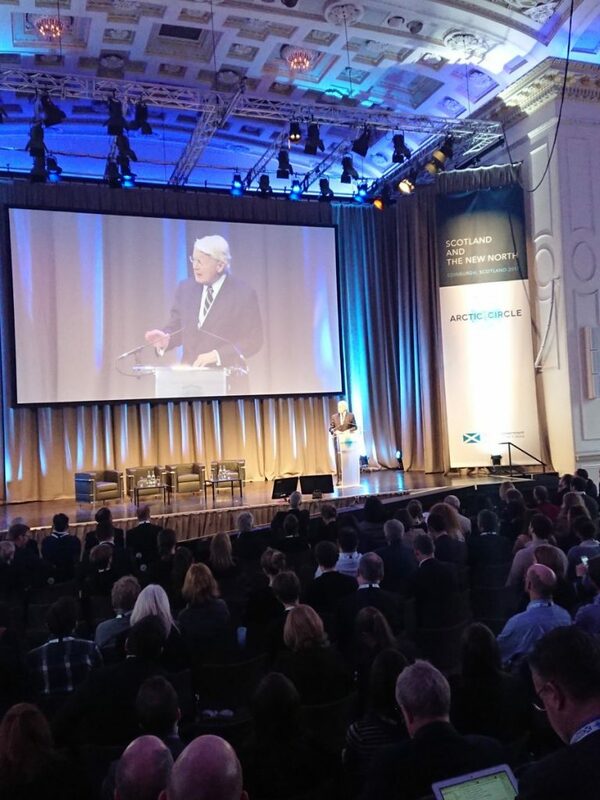 Over the past few days Edinburgh has been host to the Arctic Circle “the largest international gathering on Arctic issues”. As Finland’s Samuli Virtanen put it: “Even though the UK is leaving the EU, we hope you are not leaving Europe and the Arctic cooperation”. Presentations on resilience, indigenous culture, marine energy, fishing, transport, renewables, sustainable tourism and digital connectivity for rural and remote communities jostled together. This was Scotland acting ‘As If’ in the best possible sense. Welcoming representatives from Iceland, Norway, Greenland, the Faroes, Denmark, Alaska and Finland was not just an exercise in soft-power but a step towards brokering innovative and potentially groundbreaking deals and alliances. But the event was not without tensions and contradictions. 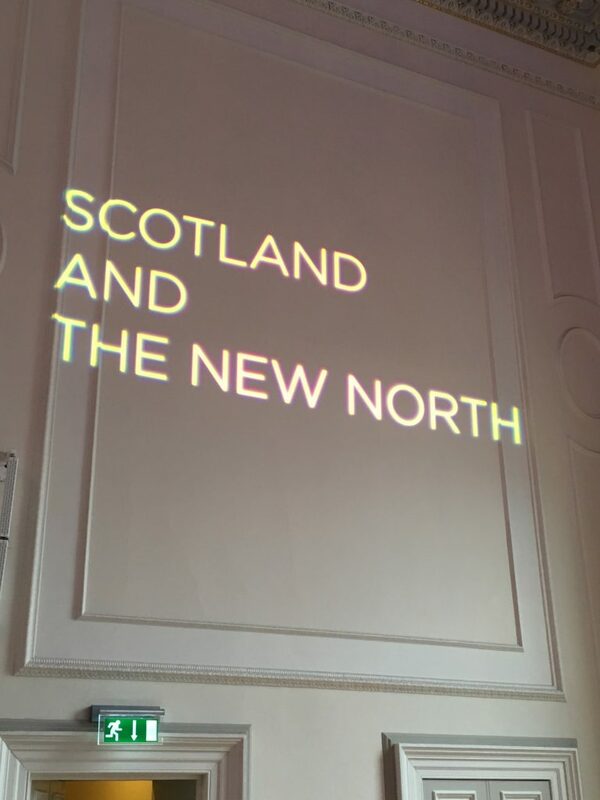 The map-graphic of the event excluded Orkney, Shetland and the Faroe Islands, an oversight that seemed to reflect the missing grassroots, civic and community groups from across the ‘New North’. This was a technocratic, business-focused meet-up. At times the outlook and focus of the event seemed unclear. “Climate change is the most pressing issue of our time. In addressing it, it’s important that Scotland’s expertise is involved” and Nicola Sturgeon made it clear in her opening remarks that environmental justice was key. This point was reiterated in a striking speech by Rt Hon. Lord Deben (Chair of the UK Committee on Climate Change) in which he highlighted the industrialised nations moral responsibility to overcome climate change for those poor & vulnerable communities unable to adapt to its impacts. But if this was how the event was framed, it was not how the focus unfolded. A series of quietly terrifying presentations by research bodies mapped the global consequences of climate change in the Arctic. But this mixture of cooly presented data on the polar ice shelf melting was then interspersed with shipping magnates drooling over the commercial opportunities of exciting new shipping routes. If we do not collectively respond to climate change as a systemic problem rather than a commercial opportunity then we are lost. If we do not confront the dynamic of the growth economy and attend to a dramatic carbon reduction plan then our efforts to reach solutions to the climate crisis are meaningless. The Arctic Circle highlighted the deficiency of Scotland’s infrastructure in comparison to our near neighbours. Our ports, our shipping and our transport infrastructure are not fit for purpose, and the connections being made across the new north might well motivate us to confront this as partnerships are made and ideas exchanged. Scotland’s climate targets are indeed world-leading and our expertise in marine renewables and technology invaluable. But Scotland’s emissions reductions have been overwhelmingly focused in energy. Where is the strategy for low carbon travel to and from Scotland? Where is the strategy for a low carbon food economy? As one delegate explained how his company was going to fly fish from Iceland to New York and another promised how Scotland could be a stop-off in the international container shipping route, the notion of Scotland as a partner to the Arctic countries takes a different shine. A European Parliament study prior to the Paris Agreement showed that shipping GHG emissions were up 70% since 1990 and are projected to grow by up to a further 250% by 2050. It predicted that if left unregulated almost 40% of all CO2 emissions in 2050 will be caused by shipping and aviation. If we have a role in the new North – and we do – it should be in highlighting the need to move away from polluting practices, innovate to a low-carbon future and create an alternative to the economic suicide that fuels the climate crisis. Hopefully there are at least a few Bella readers out there who have not fallen for the ‘anthropogenic global warming’ scam and who might even be aware of the WeatherAction website run by Jeremy Corbyn’s brother Piers – the most successful weather analyst and forecaster in the world! “WeatherAction defends evidence-based science and policy making as the ONLY science. WeatherAction completely supports campaigns for GeoEthical accountability and CLEXIT – Exit from UN Climate Change Deals and against data fraud and political manipulation of data and so-called scientific claims now dominating climate and environmental sciences. Evidence shows that man-made climate change does not exist and the arguments for it are not based on science but on data fraud and a conspiracy theory of nature. (see “Why the CO2 ‘theory’ fails “, below). An ‘average’ global temperature is meaningless. It can be warmer in the northern hemisphere, because most of the world’s population lives there, and cities do generate heat – as do forests! – and simultaneously colder in the southern hemisphere. That is what we see: relatively less ice in the Arctic and significantly more snow and ice in the Antarctic. But the only real question is: is there a scientifically established mechanism whereby increased CO2 levels can cause significant warming? The answer is NO. CO2 IS a greenhouse gas but constitutes such a small percentage of the atmosphere – with human-caused CO2 being only a minute fraction of that – that it has virtually no effect on temperature. ALL the historical evidence shows that increases in temperature have always come BEFORE increases in CO2, not the other way round i.e. there is NO CAUSAL LINK between CO2 and temperature. That makes scientific sense, because warmer air allows more CO2 to be absorbed. The main greenhouse gas is water vapour i.e. cloud, and while people fret unscientifically about CO2 they appear to be completely ignoring what is right in front of their eyes and over their heads – artificially generated cloud cover. That’s what we and our governments ought to be concerned about. I really wish you were right Paul, nothing to worry about. However an overwhelming majority of the world’s best scientists disagree with you and “Jeremy’s Corbyn’s brother”. I had a quick look at the web site you cite. I’m afraid it looks like something knocked up in a bedroom, by someone who was a “whizz with computers” back in the early 90’s. I’ll continue to believe that digging stuff out the ground and setting fire to it is not the best way to power our planet. Apparently Greenpeace was in Reykjavik recently to gather support for an Arctic Sanctuary, and head off these attempts to use climate change as an opportunity for commercial plunder of new regions of the planet, which would only accelerate the processes and endanger wildlife. They are attempting to work through the UN, from the viewpoint that Arctic is a global issue rather than a resource for its neighbours or corporations to exploit, I guess. I suppose one of the recurrent concerns is that these events are really designed to promote business interests screened by pro-environmental credentials. What is and why would there be artificially created cloud cover? Is this the same technology as seeding the skies?